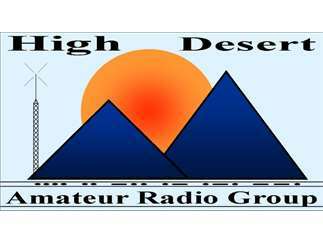 The High Desert Amateur Radio Group (HIDARG) through the Central Oregon Community College (COCC) community education program is once again offering a course that will assist you in obtaining a ham radio license in one day. The course prepares students for the entry level “Technician Class” ham radio license. The one day session is based on a curriculum created by a number of successful ham radio clubs on the west coast and is sanctioned by the American Radio Relay League (ARRL). There is no lecture involved. The students will participate in guided self-study of the test questions and manual during the allotted time. The official Federal Communications Commission test will be administered by certified volunteer examiners at the end of the class. Students must obtain a score of 70% to earn the license. A typical average score for students using this curriculum is in the 90’s. In the inaugural session of the course, all of the students passed the test. No prior knowledge of electronics is needed to pass this test. The only math involved is very simple algebra. The cost is $49.00 and includes the ARRL license manual. In addition, there is a fee to take the test. This is a separate cost not associated with COCC. Students must bring a separate check for $15 made out to ARRL VEC (The ARRL Volunteer Examiner Coordinator body). Cash or credit cards will NOT be accepted. Students age 16 or older may register for this class but those under age 18 must attend with a paid parent or adult. More information is available at www.highdeserthams.org. You can enroll on the COCC website (Google search: COCC ham class).